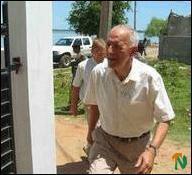 The Norwegian head of the Sri Lanka Monitoring Mission (SLMM) Major General Triggve Teleffsen travelled to Batticaloa Thursday morning and held discussions with the Sri Lanka Army (SLA) officials and political leaders of ex-militant groups, (SLMM) sources said. The SLMM head is scheduled to meet Liberation Tigers of Tamil Eelam (LTTE) Commander Ramesh this afternoon. Teleffsen met with Col. Rajith de Silva, other Sri Lanka Army (SLA) officers and Sri Lanka Police officers at the 23-3rd Brigade Office located at the Batticaloa Municipal Council premises and discussed matters related to the prevailing security situation in the district. Following this meeting the SLMM head talked to district representatives of other ex-militant groups at the SLMM office located at the Lake Road. 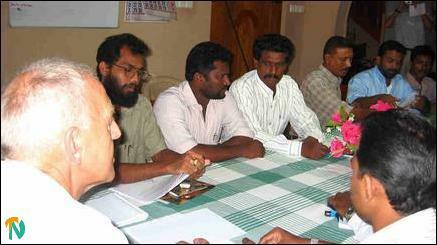 Paraneetharan Pratheepan and Sivanantharajah Siva of Eelam Peoples Democratic Party (EPDP), E. Paheerathan and Nimalan of Peoples Liberation Organization of Tamil Eelam (PLOTE), and Pakiarajah Paskaran and Kandiah Pathmanathan of Eelam Peoples Revolutionaly Liberation Front (EPRLF - Varathar faction) participated, ex-militant sources said. Ex-militant participants complained to the SLMM head of the difficulty they are facing in engaging in political activities and the increasing number of killing of their cadres. They also requested Mr. Teleffsen to investigate into the disappearances of several of their members and to take action to release them. The ex-militants told the SLMM head to apply pressure on the LTTE to stop the abductions, forced recruitment and extortion of money from the public. 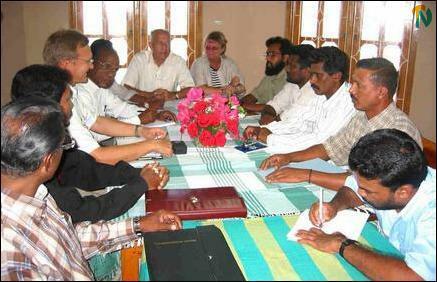 They also complained of the reluctance of the Sri Lanka police to arrest those suspected of the recent murders. Mr. Teleffsen told the ex-militants that their security concerns are the responsibility of the SLA and Sri Lanka Police and that the issue has been discussed in the earlier meeting with them. He also said that SLMM will ensure that all parties respect human rights. The SLMM head also told the ex-militants that he will further discuss these matters with Commander Ramesh, and with Col. Karuna when he returns back from his trip to Paris. He added that he will also raise these issues with the Sri Lanka's Prime Minister and the President.